The 90s were good times, the rock was grungy and the mid-engine sports cars were wedge shaped with pop-up headlights. Now that first generation NSX prices are getting nuts, perhaps it’s time to consider an alternative. 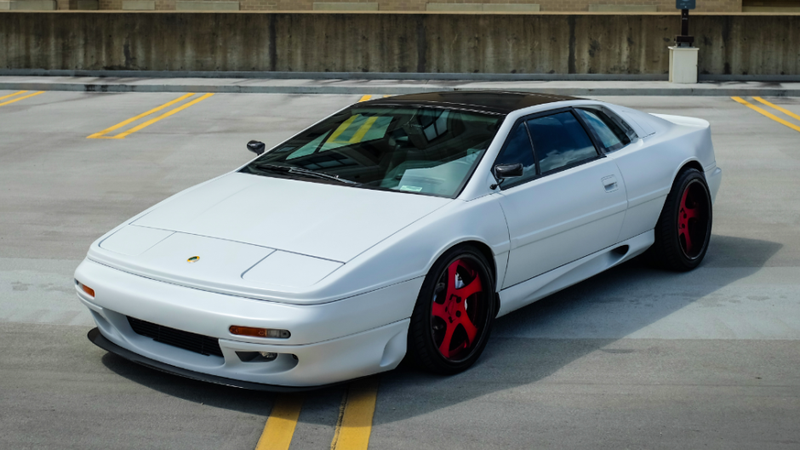 Our friends at Bring A Trailer have an awesome Lotus Espirit S4 turbo with a reasonable reserve. This 1994 Espirit S4 Turbo with 48k miles, has been heavily modified by WC Engineering and Kirt Wightman of Hypersport Engineering/Dempsey racing. The seller claims the car now puts out about 330 horsepower. Overall, this Espirit seems tastefully modified and prioritizes “go” over “show.” Some folks won’t dig the red wheels, but those can be easily swapped. The seller says he has dumped over $100,000, but the current max bid is only $17,500.